A video tour of our Form ADV search page. A firm managing more than $25 million must register through the SEC. Those managing less than $25 million generally register with their state. Part One: Required. Discloses business and disciplinary history. Part Two: Services, fees, and strategies. Not required by the SEC. 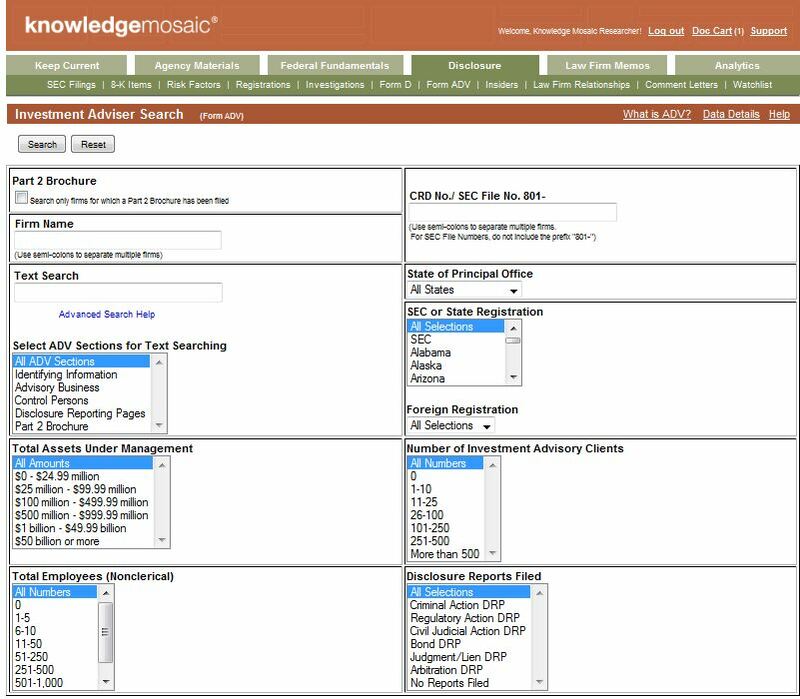 knowledgemosaic lets you search more than 30,000 investor adviser registrations.